OK, not long, long ago. Just two years ago. But I'm a little obsessed with Christmas music these days and the song It's the Most Wonderful Time of the Year with the line "And tales of the glories of Christmases long, long ago" was running through my head. Just like the line from The Carpenter's Home For the Holidays that reads "I met a man who lives in Tennessee and he was headin' for Pennsylvania and some homemade pumpkin pie" was looping in my brain the other day when I made pumpkin pie. I'll be over this soon, I promise. But while I binge out on the last of this season's all-Christmas-all-the-time-music, I wanted to reminisce about one of my favorite Christmas memories. I absolutely love tradition but this was us at our best, non-conformist selves. Judging by the movies I've seen, normal people spend the holidays gathered around the tree (or menorah, as the case may be), surrounded by their family. They unwrap presents and eat many cookies while basking in the warm glow of the fireplace. We, however, are clearly not normal. 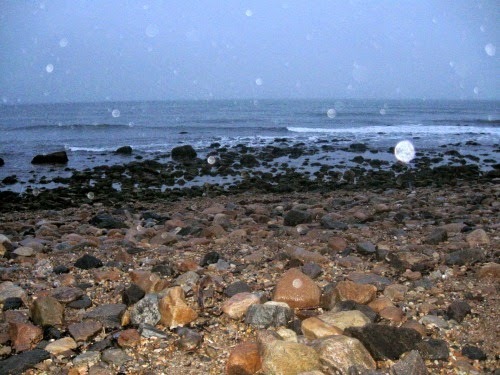 We spent the holiday weekend basking in the freezing cold winds that swirl around Montauk point which, for those of you who are not familiar, is located at the end of the world. 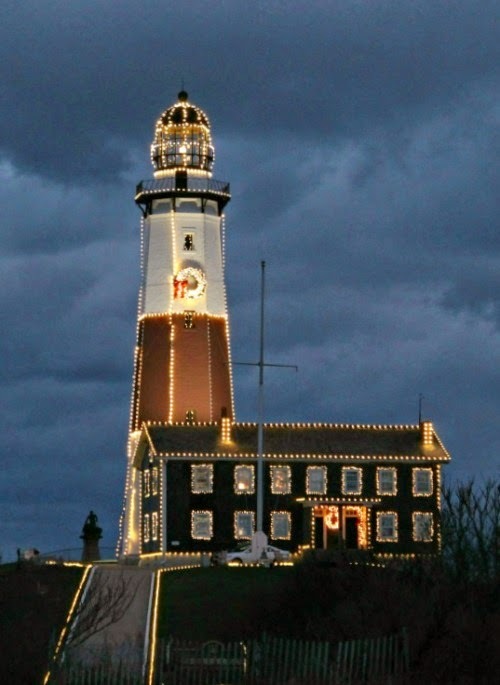 Montauk and the rest of the Hamptons are known as summer playgrounds but actually have many year-round residents (most of whom are currently frozen). 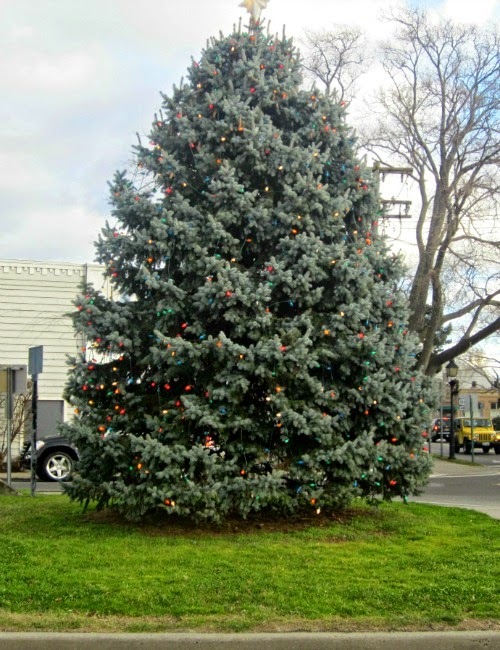 The main streets, however, have been turned into Christmas villages with stunning lights, wreaths hung on every lamp post and decorated trees on every block. We strolled around and stopped into many of the stores (mostly to thaw out). 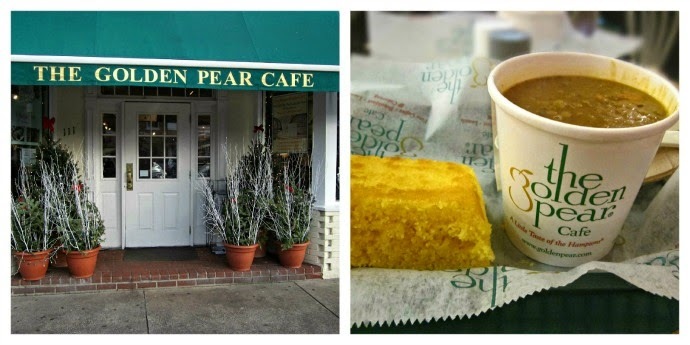 We admired the waterfront at Sag Harbor (while ice crystals formed on our lungs) and settled in for a bite at The Golden Pear Cafe. Excellent freshly baked cornbread and vegetable lentil soup, slightly spicy and served at lava-like temperatures helped us warm up. When we felt that we had steeled ourselves enough to make it back to our car without hypothermia, we headed east to Montauk. Several years ago, we did the same thing on a slightly warmer Christmas Eve and were able to stroll along the beach. It is eerie and beautiful at the same time. And, as you stare out at the cold waters of the Atlantic, you really do feel as if you're standing at the end of the earth. This year's arctic temperatures made a beach stroll impossible but our goal was not the beach but the lighthouse. You drive up through the winding roads of the Montauk state park, and suddenly, after just one more turn, the majestic lighthouse appears. We learned on our last trip that it is decorated for Christmas, complete with wreaths and twinkling lights. Given the size of it, we can't imagine how monumental a task that must be! It is stunning. No photograph does it justice. But this year we have retired our little point and shoot in favor of a DSLR and a tri-pod. We set up our shot at dusk and then retreated to the warmth of the car. We emerged every 10 minutes or so, to get photos as it got darker until the world was black except for the lighthouse. 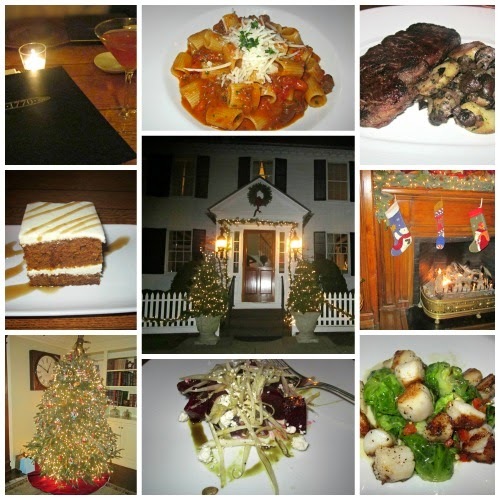 Finally, with icicles clinging to our hair, we packed away the camera equipment and drove into East Hampton for a late dinner reservation at 1770 House. They took one look at us and immediately seated us at the table closest to the fireplace. We drank cocktails, we ate good food, we discussed our photographic adventure and opined on how to get even better shots next time. Eh, who wants to be normal, anyway? I love you very much! Sending you warm hugs from way out here. 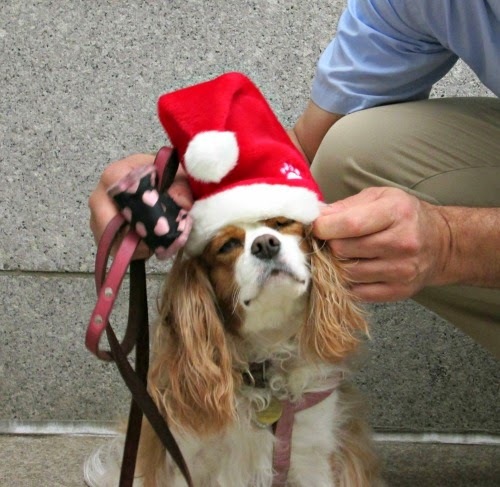 Hadley is the best present you could have this holiday season..........even when she is mooching food from mommy! Merry Christmas Anita and I'm wishing you much happiness in the coming year.